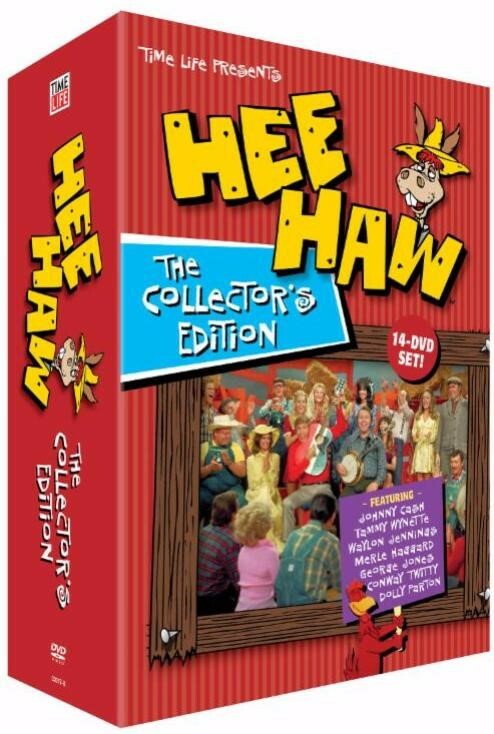 In a new-to-retail set, HEE HAW: THE COLLECTOR’S EDITION offers 14 HEE-larious discs featuring some of the best sketches and brightest stars from the series’ impressive 23-year history, rarely seen since their original broadcasts. Across 21 vintage hours, viewers can sit back and be entertained by korny klassics such as “PFFT! You Were Gone,” “Gordie’s General Store,” “Board Fence,” “Cornfield” and “Moonshiners” — as well as the all-time favorites “Rindercella” and “Trigonometry.” And because HEE HAW was a favorite stop for country music’s biggest stars and legends, THE COLLECTOR’S EDITION also features hundreds of classic performances from Hall of Famers at the peaks of their careers including Tammy Wynette (“Stand By Your Man”), George Jones (“White Lightnin”), Merle Haggard (“Okie From Muskogee”), Waylon Jennings (“Me and Bobby McGee”), Johnny Cash (“I Walk the Line”), Jerry Lee Lewis (“Whole Lot of Shakin’ Goin’ On”), Tanya Tucker (“Delta Dawn”), and Loretta Lynn & Conway Twitty (“Louisiana Woman, Mississippi Man”) and too many others to name. When Motown 25: Yesterday · Today · Forever aired on NBC on May 16, 1983, it was an immediate sensation and became one of the most talked about concerts and TV specials ever. In an era before social media, MOTOWN 25 was a true water-cooler event, marking the first time that music fans saw Michael Jackson do the moonwalk (aka: the six seconds that changed the world), in addition to many other buzzworthy moments — reunions by the Miracles and the Supremes; the first battle of the bands between The Temptations and Four Tops; and the hottest comedian in the world at the time, Richard Pryor, as host. 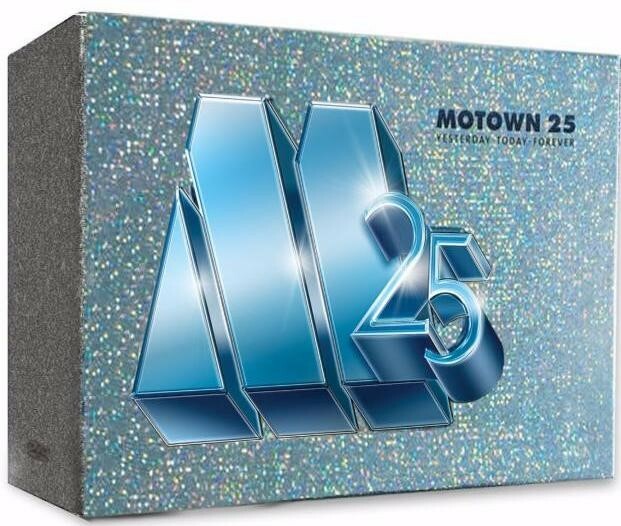 Taped before a live audience MOTOWN 25 featured virtually every Motown artist from the company’s inception, including Jackson moonwalking during “Billie Jean” and performing “I Want You Back” with The Jackson 5, Marvin Gaye crooning “What’s Going On”, Smokey Robinson with “The Tears of a Clown”, Stevie Wonder soulfully singing “Uptight (Everything’s Alright)”, Diana Ross with “Ain’t No Mountain High Enough”, The Temptations with “My Girl”, Four Tops with “Baby I Need Your Loving” and many more! A seminal event in pop culture history, this concert event would go on to provide the backstory for the Tony®-nominated Broadway play, “Motown: The Musical”, as well as set the bar for all future televised concert events. A new-to-retail configuration, MOTOWN 25: YESTERDAY· TODAY · FOREVER includes an extended version of the Motown 25 concert with over 20 additional minutes not seen in the original broadcast, brand-new 5.1 surround sound, over 14 hours of specially-produced bonus features, and an exclusive 48-page collector’s booklet packed with information about the show and artists, and never-before-scene photos from the production and essays on Motown performers. Music: Part of the appeal of this award-winning searies was the soundtrack! Hear over 300 classic period songs as they were featured in the original broadcasts, including artists such as Jimi Hendrix, Bob Dylan, Joni Mitchell, The Byrds, Simon & Garfunkel, Aretha Franklin, James Taylor, and of course, Joe Cocker’s unforgettable theme song. 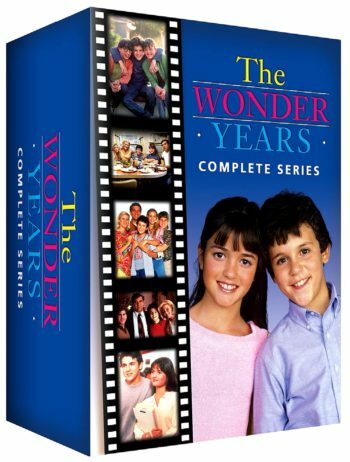 This newly released set of DVDs features full shows from The Tonight Show starring Johnny Carson. 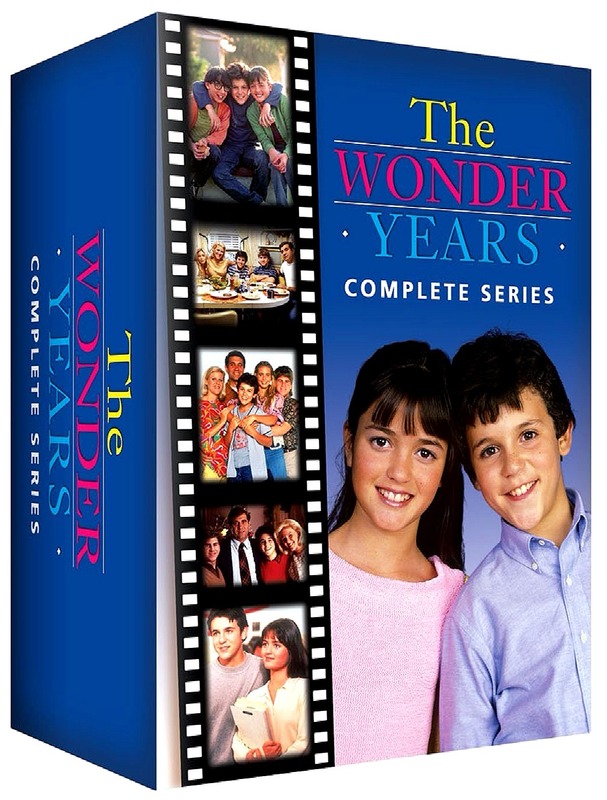 the 6-DVD set contains 12 full shows plus over 2 hours of bonus footage, along with the commercials. A Great Gift Idea for the Johnny Carson fan!! 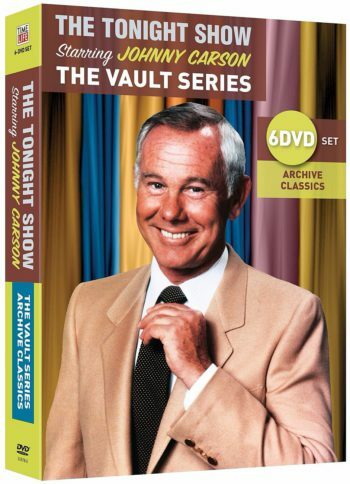 Now for the first time ever, Carson Entertainment Group has opened up the vault to share with you the legacy of Johnny Carson – 30 years, 4,000 shows, 25,000 guests. The fans have been asking for more, and they heard you! Show 1 (10/2/1972): The 10th Anniversary Show with: Dean Martin, Ronald Reagan, Jack Benny, Joey Bishop, Don Rickles, George Burns, Jerry Lewis, Rowan & Martin, Dinah Shore, Ed, Doc & More! Show 2 (9/19/72): A gem of a show – Classic Johnny Carson with guests Bob Hope, Dom Deluise, John Denver & Peter Fonda. Bonus Material (9/22/72): And if two full shows isn’t enough, just kidding, we know it’s not… we’ve also included a priceless bonus clip featuring stuntwoman Peaches Jones who starred in great Blaxploitation films of the 1960’s and 1970’s including Mod Squad, Coffy, Foxy Brown & more. Watch as she performs some of her stunts on Johnny! Show 1 (10/23/74): Happy Birthday Johnny! This raucous party has some serious energy, wait till you hear the studio audience! Johnny invites a hilarious Buddy Hackett, 70’s pop star Lana Cantrell, Michael Preminger, & Prime F. Osborn III and his Marx toy train diorama to this one of a kind party! Show 2 (10/23/84): For this show we blast 10 years down the road for another birthday celebration, talk about a time machine! This night finds Johnny sharing his birthday with Paul McCartney, Mary Gross from Saturday Night Live & magician Jonathan Brown. Classic Tonight Show magic! Extended Bonus Clip (10/23/87): This extended bonus segment has Johnny spending his birthday with David Letterman & Joe Piscopo. Now you can see more never-before-released footage from this time-honored show. Show 1 (12/05/75): This is the only surviving footage of these amazing shows! Watch as Gallagher makes his hilarious Tonight Show debut, along with Sean Connery, Michael Caine, David Brenner, and Burt Mustin. Brought to you in it’s original vintage format, the source material contains some minor imperfections, but it was so good we just had to get it released. Show 2 (12/12/75): Get into the holiday spirit with classic Tonight Show guests including Bob Hope, Dean Martin, Charles Nelson Reilly, Carol Wayne and a side-splitting Tea Time with Art Fern. It is true Tonight Show magic, and this show is a riot! Bonus Clip (12/02/75): The always fabulous Lucille Ball joins Johnny to talk about life and her upcoming holiday special. 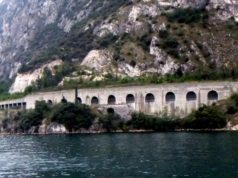 Show 1 (03/02/76): A trip back in time to spring of 1976! 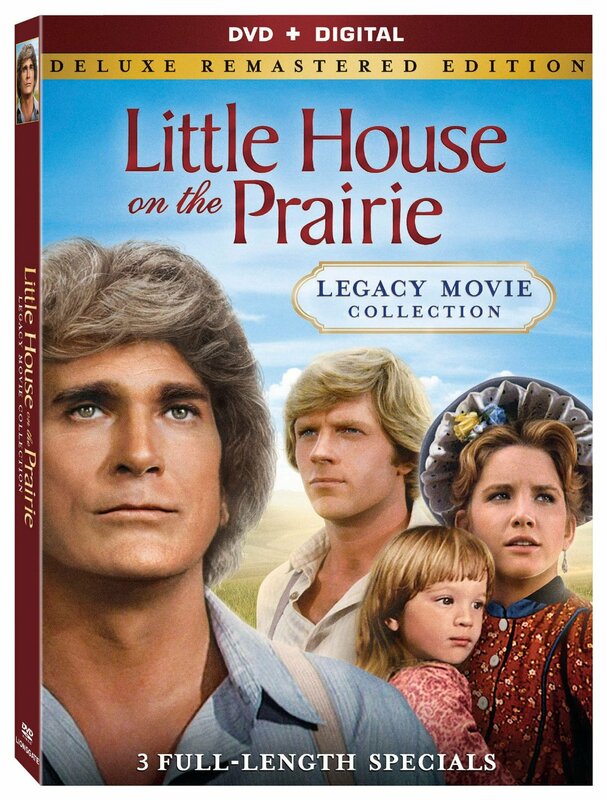 Join Johnny and his famous guests Charlton Heston and Michael Landon. Larry Adler plays a duet of “Our Love is Here to Stay” with Doc, as well as a very early appearance by Billy Crystal, and finally Lisa Farringer. This is the first show from the week that the famous Rhinestone Cowboy skit appeared. A classic Tonight Show! Show 2 (03/03/76): Continue this week in March with the following Tonight Show guests including an enriching chat with the legendary Orson Welles, a hilarious appearance by John Byner, a delightful conversation with Susan Clark and a visit from the Tonight Show’s correspondent from Costa Rica, Sam Blotner. Bonus Clip (03/23/76): Join Johnny on his first show back from one of his famous spring breaks. Ed just got married and Johnny is relaxed and ready to joke with the Tonight Show’s fabulous crowd. Show 1 (03/04/76): The famous Rhinestone Cowboy episode! Johnny performs his version of “Rhinestone Cowboy” and the party doesn’t stop there. Guests include Robert Blake, an uproarious Don Rickles, the always pleasing Bob Hope and Desi Arnaz. This show is definitely one for the history books. Show 2 (03/05/76): The star studded parade that is now the stuff of legend continues. After a visit from Carnac the Magnificent, Bing Crosby makes his first appearance on the show, followed by Ray Bolger of Wizard of Oz fame. Then finish things off with Marvin Hamlisch and the resident nonagenarian Burt Mustin who busts up the gang with his stories. Bonus Clip (03/23/76): More exciting bonus material from this show. An unexpected drop in by Rodney Dangerfield. Then Joan Embery adds some animal hijinks with her menagerie from the San Diego Zoo. Volumes 4 & 5 – A complete week from The Tonight Show starring Johnny Carson from 1976! Show 1 (09/07/73): This show is a knock-out! Johnny is joined by Muhammad Ali and Ken Norton as they weigh in three days before their famous 1973 bout. Great appearances by Karen Valentine, Joel Grey and Carol Wayne, as well as the Mighty Carson Art Players. Show 2 (10/02/73): The 11th Anniversary Show. Celebrate in style with Dean Martin, Buddy Hackett, Burt Reynolds, Don Rickles and Carol Wayne. And that s not all Friends! 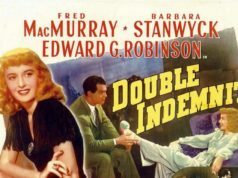 Enjoy a Tea Time Movie with Art Fern and the Matinee Lady. 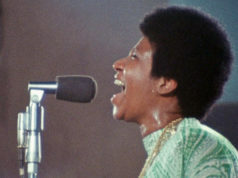 Bonus Clip (09/14/73): The Tonight Show welcomes the Godfather of Soul, James Brown! Watch his amazing performance then join Johnny on the couch with James and Ed. And if that s not enough, The Mighty Carson Art Players perform their very own tribute to Grease. This DVD set includes three full-length specials: Look Back to Yesterday, Bless All the Dear Children, and The Last Farewell.